1. 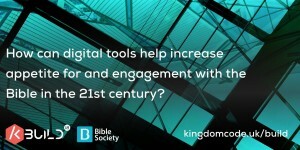 Bible Society: How can digital tools help increase appetite for and engagement with the Bible in the 21st century? 2. 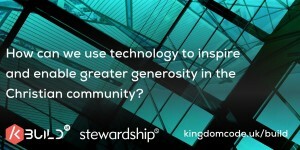 Stewardship: How can we use technology to inspire and enable greater generosity in the Christian community? 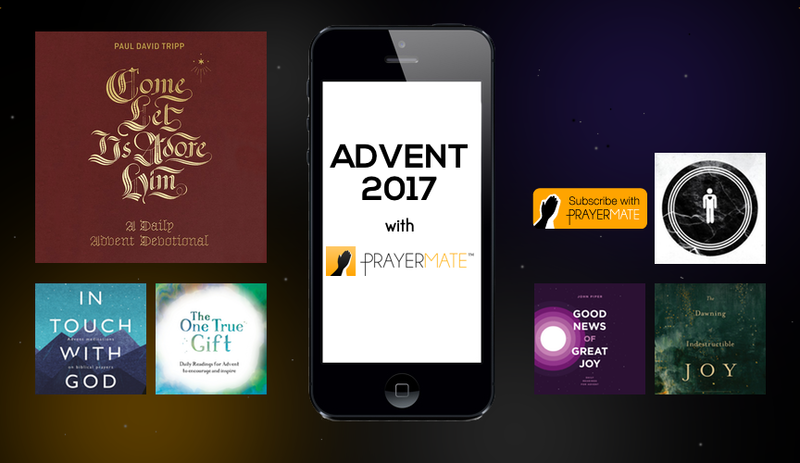 I’m delighted to announce this year’s range of Advent devotionals available through PrayerMate – get the lowdown on the PrayerMate blog. 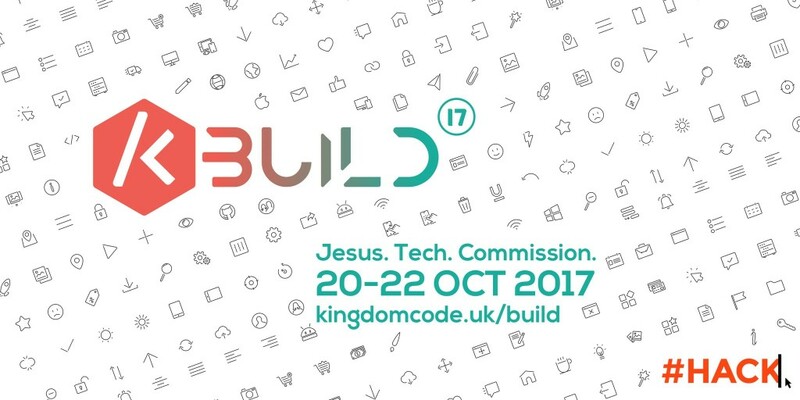 For the third year running, Kingdom Code UK will be hosting a hackathon weekend for Christians in the world of technology – an opportunity for Christian coders, designers, project managers, tech entrepreneurs and general enthusiasts to gather for 48 hours to build new technologies inspired by our Christian faith. 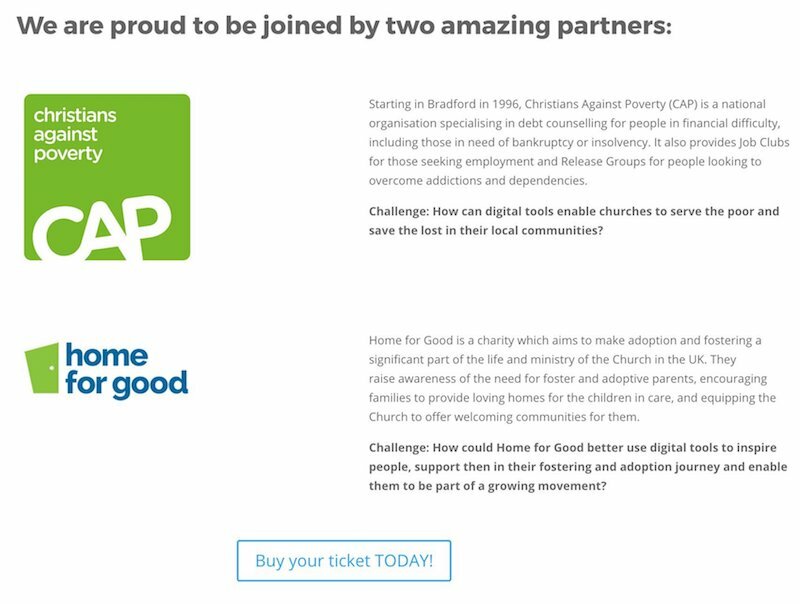 This year we’re hugely privileged to be partnering with two excellent Christian charities: Christians Against Poverty and Home For Good. They’ve each set a challenge (below) and hopefully it will be a fantastic weekend! Not convinced it’s for you? Read my post from last year: Why YOU should attend the hackathon (and some bad reasons not to). With a month still to go we’ve already got 50 signed up but we’re praying for 100. Book your ticket TODAY! For a while now I’ve been working on implementing user accounts in the PrayerMate app so that users can sync their private data to the cloud and share it between their different devices. 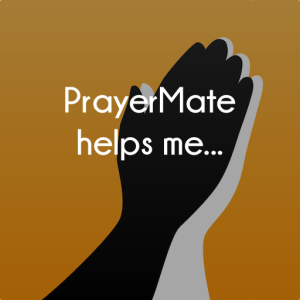 Think of PrayerMate as being like an Evernote equivalent but specifically focussed on recording different prayer needs – some of them ones of a highly personal nature either about yourself or about close friends that you’re praying for. Ever since Google announced their revamped version of Firebase a year ago I’ve been in love with it as a platform – the Firebase Realtime Database in particular makes authenticating users and syncing their data to the cloud as easy as pie. But there’s one big drawback: anybody with admin credentials for the Firebase project can browse all of that private user data at will. Equally, Google’s infrastructure is pretty rock solid in terms of security (I went to a presentation about it at the recent Google Cloud Next conference in London – and it is seriously cool stuff) but the consequences of a hacker getting hold of all of that user data doesn’t even bear thinking about. That’s why I’ve been looking for a solution that allows users to still sync all of their data between their devices via Firebase, but whilst preventing me as the developer (or anybody else who somehow got hold of a data dump) from reading that data. At the same time, I wanted to do it in a way that meant a user who lost their phone wasn’t completely locked out of all of their data for all time – even people with just a single device are frequently asking me to implement sync as a backup mechanism. Thankfully Google’s own infrastructure provides some really cool tools that made solving this surprisingly easy – and since even people within Google / Firebase themselves didn’t seem overly aware of what was on offer, I thought it was worth blogging about my experiences. Considering the year is 2017 this was a remarkably difficult exercise. Almost every library I came across had huge warnings either on the iOS version or the Android version saying “The library on the other platform uses really insecure defaults which I had to incorporate for compatibility purposes”, or it hadn’t been touched in four years, or it had a gazillion issues logged against it. I eventually settled on RNCryptor-objc / RNCryptorNative. When I last looked at RNCryptor a few years back the only option on Android was JNCryptor which was ridiculously slow (multiple seconds per operation) and which I now notice is covered in warnings saying “Do not use on Android”. With RNCryptor implemented on both platforms, that just left the little issue of how to actually sync the user’s encryption key between their devices. A naive solution would be to store that key within the Firebase database itself – that would at least prevent me from accidentally reading people’s private data (at least nothing would be stored in plain text) but would still make it trivial for anybody with access to the Firebase data to decrypt anything they wanted to. At Google Cloud Next I came across the Google Cloud Key Management Service, and could immediately tell there was some potential here. The Google Cloud KMS lets you create encryption keys which can then be used to encrypt and decrypt data. My first assumption was that I’d generate a key for every user, but for PrayerMate’s 25,000 monthly active users that would quickly reach at least $1,500 every single month. After a chat with some of the very helpful Google Developer Advocates I quickly realised that wasn’t what I needed at all – just a single KMS key could be used to encrypt and decrypt a user’s data encryption key (DEK). In the end what I came up with was to build a super-simple authentication service in the Google App Engine Flexible Environment. When a user first logs in to PrayerMate, the auth service generates them a new DEK which it gives to them, as well as encrypting it in KMS for storage in Firebase. When the user logs in to their second device, the auth service takes the encrypted key from Firebase and again uses KMS to decrypt it for the user to store in their device’s local keychain (where it is again stored in encrypted form). Importantly, the KMS key belongs to a different Google account to the Firebase database, so no one user (e.g. me) has permission to both read the data AND decrypt it. A hacker would need to compromise both accounts to access the unencrypted data. Where things get REALLY cool, however, is with the introduction of Google Cloud Endpoints in to the mix. This is basically a proxy layer that sits between your user and your backend, but which, crucially, understands the concept of Firebase authenticated users and can validate those logins and tell your backend who somebody is. This means that each time we generate a new DEK for a user we can encrypt it along with their user ID, so that when somebody comes along later requesting to decrypt a particular DEK the backend can verify if it actually belongs to them. On the whole, the documentation for Google Cloud Endpoints is pretty good, and if you persevere long enough you can probably figure out how to get it working. I got stuck on a couple of points: firstly, I got myself in a muddle about what to put in the endpoints_api_service section of app.yaml and how it related to the host property of openapi.yaml. There are so many different deployment combinations that the Endpoints documentation struggles to make it very clear – but if you are deploying to the flexible app engine you just use the same [PROJECT_ID].appspot.com form in both places, and your endpoints_api_service.config_id is just what you get given when you deploy your proxy configuration using gcloud service-management deploy openapi.yaml (usually something like “2017-01-01r0″). Update: I have now open-sourced the code for my backend service as firebase-keysafe. Contributions would be welcome if you spot room for improvement. If solving interesting problems like this sounds like your cup of tea, all in the aid of helping the world to pray more, then you should know that I’m currently on the look out for a full time Android developer – ideally based in London – either on a short-term contract or more permanent. I’m looking for somebody who is fully committed to the aims of a Christian prayer app like PrayerMate and who is able to be more than just a code-monkey following a tightly defined spec but instead is able to partner in helping build the best possible prayer platform to mobilise the Christian church to pray. If that sounds like you then please get in touch! Between them, users of the PrayerMate app are now praying for over a million requests every month. Through the PrayerMate Publishing Platform you can publish prayer feeds to keep your supporters updated and engaged in praying for your ministry too – whether you’re a charity, a church or an individual. 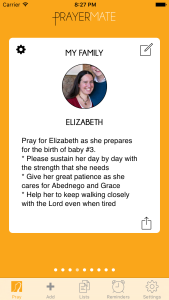 Many organisations already publish an existing prayer diary or bulletin, and the site provides tools to quickly and easily get those imported into the PrayerMate system. But what if you’re not already in a habit of writing regular prayer requests – what kinds of things make for a good prayer update? It’s hard to expect people to be praying for your ministry if you’re not praying for it yourself. When I sit down to write my prayer updates for PrayerMate each month (yes, PrayerMate has its own feed to help you pray for PrayerMate! ), I find it really helps me to begin by praying myself. It feels like the right thing to do anyway, to remind myself that this is first and foremost about inviting God to be at work – and in the process, it usually quickly becomes obvious which kinds of issues are in need of prayer, what is causing anxiety and difficulty, and what encouragements there have been to give thanks for. That leads to our second tip: give thanks! Not all prayer updates have to be requests, it’s often helpful to have some updates which are about giving thanks for the ways in which God has been answering previous requests. A good means of generating ideas for writing prayer updates can be to start by writing down some general ministry areas and topics for prayer. For example, if you’re a church, you might have a children’s / youth ministry, a work amongst your local community, students, mission partners who you support, and so on. Most charities will have some particular ministry areas, or perhaps regions where they operate. 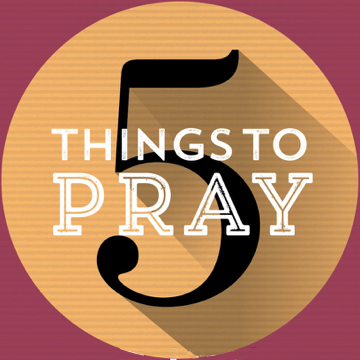 If you can think of five relatively broad topics then you only need to come up with six prayer points for each topic and you’ve got yourself a month’s worth of prayer points. Under each topic, you can then write some specific requests. The more vague your prayer points are, the harder you’ll find it to come up with more than one or two. So instead of saying “Pray that the kids will grow in their knowledge of Jesus”, you could single out what the teaching topic will be this week and have a few specific requests related to the various application points. This is also usually much more engaging for the people praying as well, since it helps keeps things fresh as they pray week by week. In your desire to be specific, it’s also good to keep things relatively brief. You don’t need to write a long essay for every day of the week. Just a brief line for each prayer request is fine – and will help both you and those praying. Want to get people praying for your ministry? Sign up to the PrayerMate Publishing Platform today to help engage your supporters in praying for your ministry. This Lent, let PrayerMate help you grow in your relationship with God. We’ve been working hard to put together a great selection of resources, together with some new reminder functionality to help you focus on God day by day. 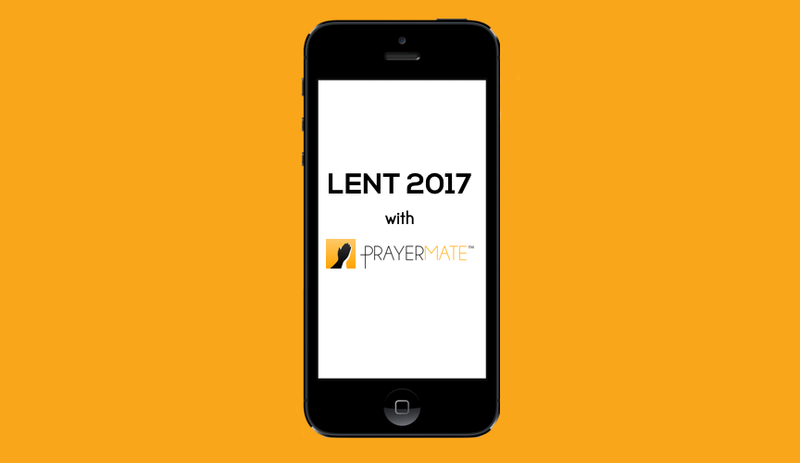 To get started, open the PrayerMate app, tap the “Add +” button, and find the “Devotionals for Lent 2017″ section. Here’s just a taster of some of the fantastic resources available this Lent, beginning 1st March 2017, with even more to come soon. 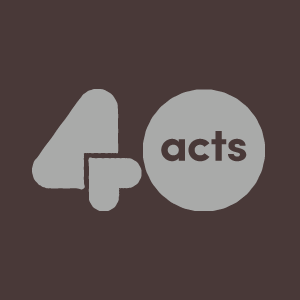 From Stewardship Services, here’s 40 days of giving back, doing good and living generously. Last year, over 100,000 people from 180 countries committed 40 days to exploring what it is like to be generous. Join us again from 1st March 2017. You are invited to 31 Days of Purity— thirty-one days of thinking about and praying for sexual purity. Each day features a short passage of Scripture, a reflection on that passage, and a brief prayer. Written by Tim Challies, Mike Leake and others. Subscribe here. Between 1st March and Easter we will be running three reading plans from Ligonier Ministries written by R.C. Sproul. Each devotional calls you to live in the presence of God, under the authority of God, to the glory of God. 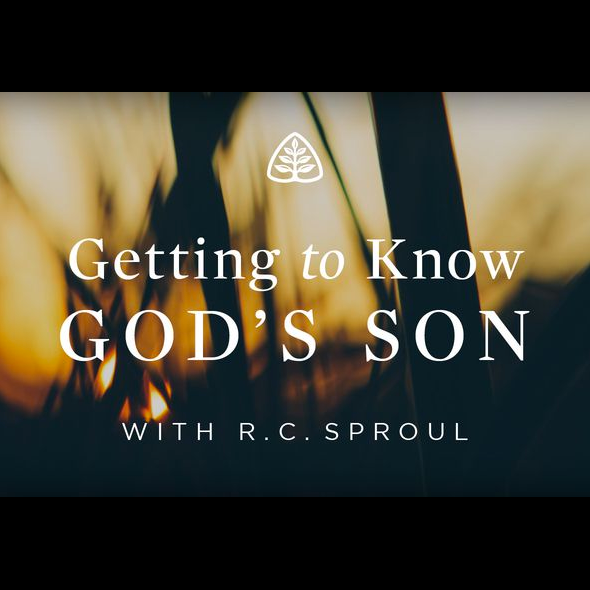 Starts 1st March with Getting to Know God’s Son. Walk with us through London this Lent, and pray for its people and places. 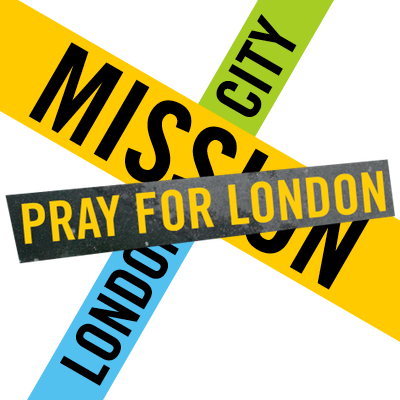 This will be a great guide from London City Mission to praying for the amazing gospel opportunities the city has to offer. Subscribe here. If you haven’t tried it already, get the PrayerMate app today and see how it can help you to grow in your relationship with God this Lent. We all find it easy to get stuck in a rut when it comes to prayer. Here are ten resources which you may find helpful in freshening up your prayer life in the year ahead. It would be remiss to do a series of resources to help you in your prayer life without including the prayer that Jesus himself taught us. It’s the starting point for all Christian prayer, and as well as being great to use as-given it also works well as a structure for all of your prayers. I’ve written more about using it this way previously. 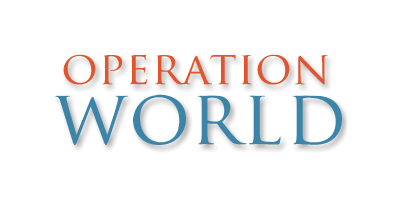 If you’ve not come across it, Operation World is a terrific book which gets updated periodically, with incredibly detailed information about every country in the world and how to pray for their needs. The current edition is showing its age in certain areas of the world (e.g. Syria) but it’s still a great way to expand your horizons beyond the narrow concerns of your own personal needs. An Operation World “Country of the Day” feed is available through the PrayerMate app. Don Whitney’s recent book “Praying the Bible” explores how you can use the words of Scripture, and especially the Psalms, to inject freshness into your daily prayers. Don gives a reading plan of five Psalms every day which will get you through the entire Psalter every month – or there’s a reduced version available through PrayerMate which gives you one Psalm every day to get through them all every five months. Tim Kerr’s manual for intercession “Take Words With You” is an incredible treasure trove of Biblical promises and prayers organised into categories – as well as a method for using this to pray specifically into various situations. I highly recommend getting yourself a copy and giving it a try. 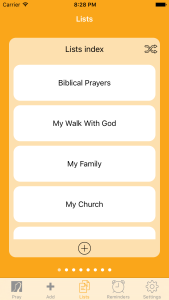 I’ve worked with Tim to incorporate Take Words With You into PrayerMate, and you can access various daily feeds such as verses to help you Praise God or Confess Sin, as well as the “TWWY Prayer Builder” that you can use to pull in Bible prayers and promises related to a specific theme. John Piper has talked in various places about how he prays in “concentric circles” – starting with yourself and your own relationship with God, then moving outwards to close family and friends, then to the wider church and community, and then to the wider world. It’s of course not the only way to pray but you might find it helpful if you are struggling to give your prayer times any kind of structure, or get stuck on just one of the “circles”. 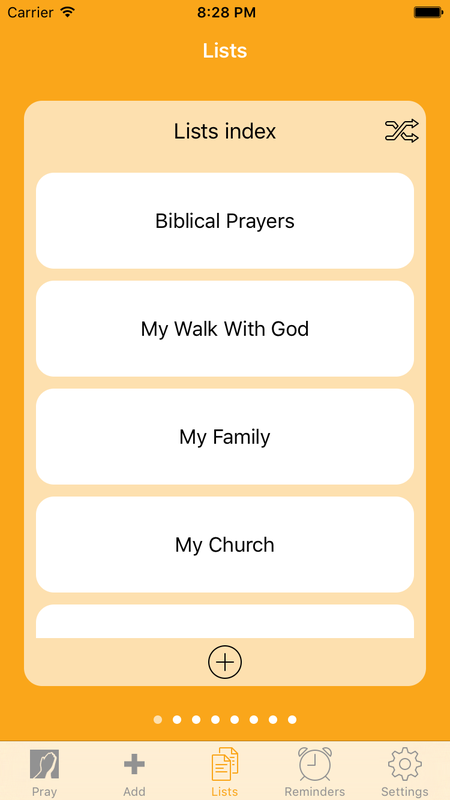 From the beginning the PrayerMate app was built with this kind of prayer structure in mind – you could maintain a “list” for each circle, and since it always gets you to pray through your lists in order it will naturally work from the inside out. The book that first got me going in a serious habit of prayer was Don Carson’s classic “A Call to Spiritual Reformation“. It’s a great book that’s well worth a read – both for his practical tips on how he uses prayer lists, but mostly to see what the prayers of Paul in the Bible have to teach us about prayer. For those who want it, you can download all of the passages mentioned in the book into PrayerMate by finding the “Praying with Paul” section of the “Biblical Prayers” gallery. Pray for Seven is a great initiative as part of the Diocese of London’s “Capital Vision” project, encouraging everyone to commit to praying regularly for seven unbelieving friends for an opportunity to share your faith with them. It’s built on the simple premise that when we pray, God can do amazing things. 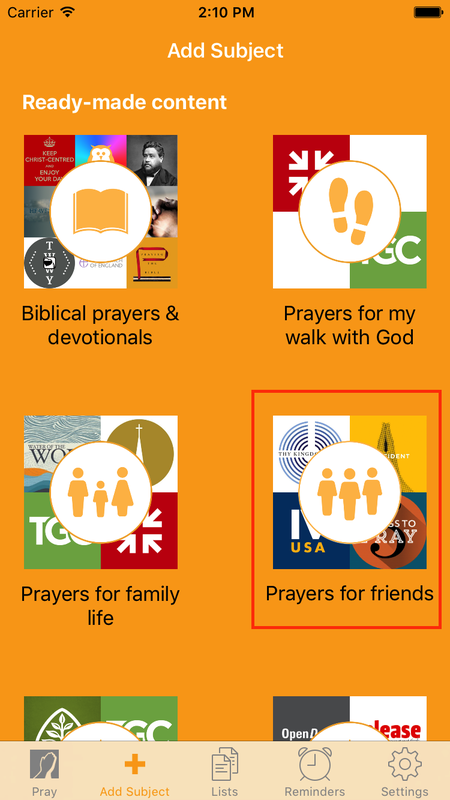 You can find a handy guide on how to use PrayerMate to help you Pray for Seven here. Pray for Seven. Who could you pray for? from London Diocese on Vimeo. Do you ever find yourself wanting to pray for your friends who don’t yet know Jesus, and ending up praying exactly the same thing over and over and wondering where to go next? 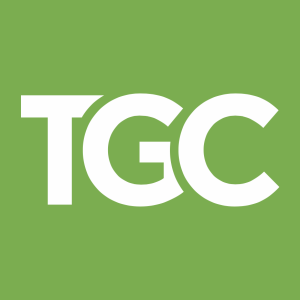 Tim Challies has written a great list of suggestions for how to pray for unbelievers here. 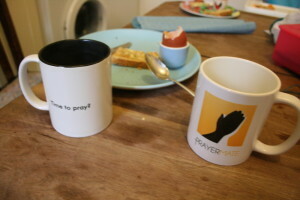 You can download these into PrayerMate by finding the “Evangelism and Youth Work” gallery. This year The Good Book Company published two great little books to help you pray: “5 Things to Pray for Your Church” and “5 Things to Pray for the People You Love”. 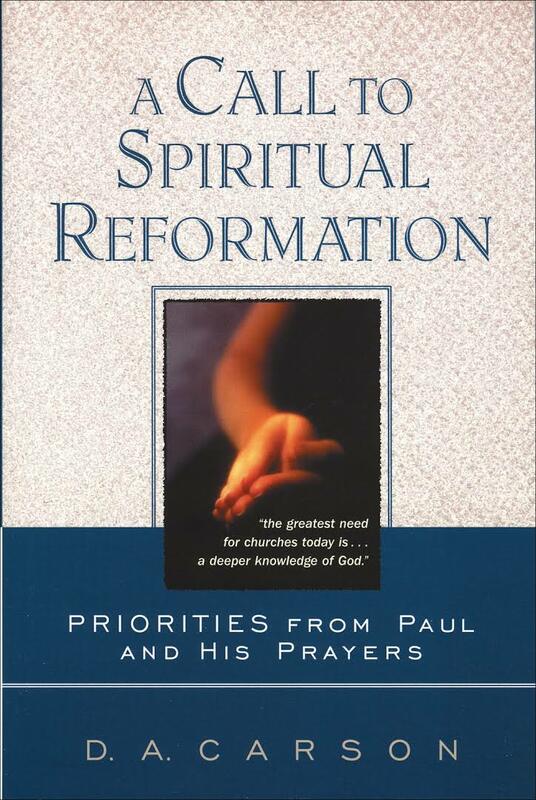 Each page gives you a different aspect of the subject matter to pray for and give simple suggestions. Fantastic! 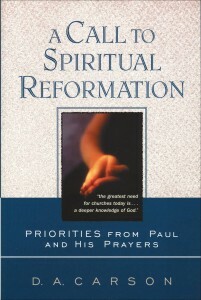 You can purchase these books through PrayerMate through the following links: “http://praynow4.org/church5″>Your Church” or “The People You Love“. 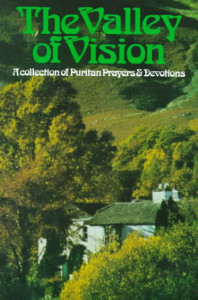 One of my favourite books on prayer is the Valley of Vision. Published by the Banner of Truth, it’s a collection of prayers inspired by the prayers of the Puritans and organised by various topics. They’re wonderful prayers for when you’re stuck in a rut – a favourite of mine has always been the prayer for the “Lord’s Day Morning”, a great one to pray as you head to church. You can’t yet get the Valley of Vision through PrayerMate but you could always sign this petition to say you’d like to be able to! 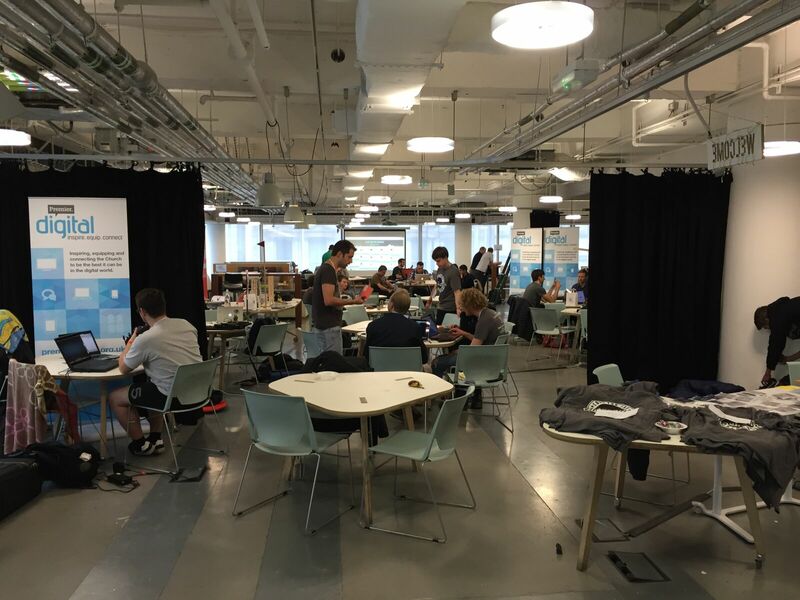 For 2017 Indigitious are helping organise simultaneous #Hack weekends around the globe – Christian hackathon events where technologists will gather together to work on projects inspired by their Christian faith. This includes the Kingdom Code BUILD weekend in London. 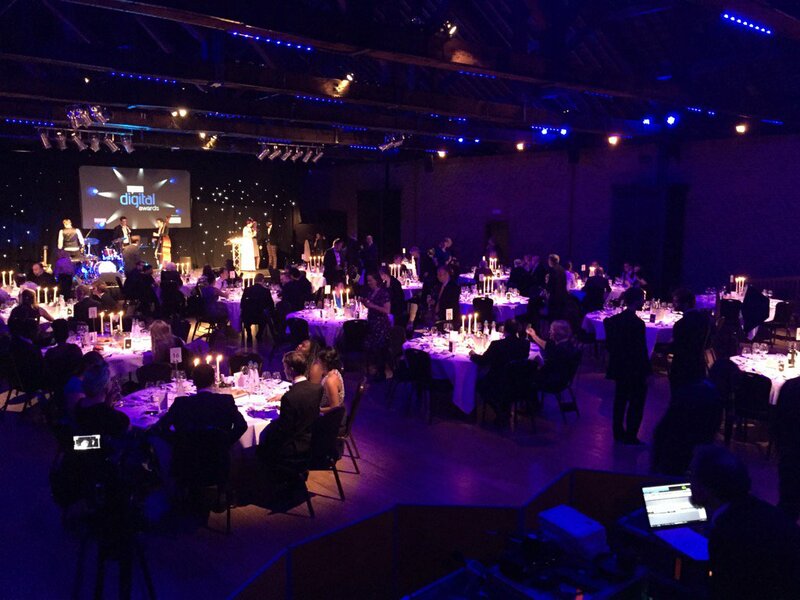 But chatting to a few people, I realise there’s lots of people out there who had prematurely dismissed the idea of attending because they decided it wasn’t for them – what a shame! So I just wanted to spend a bit of time going through some of the reasons why you should come along – and then try to debunk a few of the bad reasons you might have for not coming. Love it or loathe it, technology is all around us, and it’s not going away any time soon. In the last 10 years, the amount of time young people spend on their mobile phones has tripled to almost 28 hours a week. We could decry this as a blight on our society, but we could also recognise the huge potential in this to harness technology and use it as a tool to help reach people with the gospel and grow disciples of Christ. It could be that you have a specific idea of a way to do this – perhaps an app or a website that you would like to see built. Then come to the hackathon and pitch your idea! Or maybe you don’t have an idea, but you would love to support others who do – either with your dev/design skills or just with your raw enthusiasm – come! The ideal hackathon team has a real mix of skills – including people who are simply “a bit like the people who might end up using the final product”, even if they don’t feel they have the skills to actually “build” it. For some people, you have very specific skills that are relatively rare in the church: maybe you can code, or you are a designer or a product manager. No matter where you are in your journey of developing those gifts, a hackathon is a great opportunity to channel them into building something that is specifically kingdom-oriented. It won’t be that every single project is explicitly “Christian” – but all of them will be reflecting the Christian values and worldviews of the teams who build them, and it will help you to see how the person God has made you to be can make a difference in the world. Some of the projects will just be a “proof of concept”, some will just be a chance to tinker with an interesting new technology (or one that’s new to you). But we also hope and pray that for a few of the projects, this will be the birth of something that will go on to have a genuine and lasting impact for eternity. If that’s not enough to get you excited then I don’t know what else to say! If you’ve ever tried “pair programming” you’ll know how much you can learn by working closely with another person, no matter how experienced you already are. A hackathon is a great way to hone your skills and collaborate with others and pick up new ideas. I have many fond memories of last year getting to peek into the work that other teams were doing, or answer the odd question about a niggly iOS bug or obscure syntax error. We had quite a few students who came last year and I think they’d all testify to the fact that it was a great learning opportunity for them – I know it certainly was for me! I had the opportunity to be challenged to think differently about my project by people with a different breadth of experience to me, and I know that I personally grew through it. In my experience, the best friendships are born out of working side-by-side with people towards a common aim. Sounds like the perfect description of a hackathon! You’ll meet all sorts of like-minded people from across the country (and across the world!) and through the process of working together on a project you’ll get to know each other and build some great relationships. Last but by no means least, hackathons are just a lot of fun. Last year’s event had such an amazing atmosphere to it, of the body of Christ collaborating together to build some amazing things. Everybody was there to help everybody else, there was excitement for what we were doing, fantastic food, great coffee, an awesome venue, and generally it’s hard to imagine you could be doing anything else more fun than this with your weekend. Irrelevant. As we’ve already said, the ideal hackathon team has a real mix of skills – and anyway, the actual ‘coding’ part of the weekend is probably relatively small, in some ways. The weekend starts with the “ideation” stage, as people pitch their ideas and teams are formed. But then there’ll be plenty of planning and designing and working out what this thing that you’re trying to build actually is. The enthusiasm of people who might one day become end users of the product is just as valuable as the raw coding or design. Related to this is the “I can’t code very well!” excuse. That’s exactly why you should come – so that you can learn from others more experienced than yourself. You’ll get to see how real software is built from the idea stage right through to completion and then presenting it to others. Awesome. This is a particularly bad reason for not coming. Generally speaking, hackathons take place in teams. There were a few people last year who worked on their own (either for all or part of the weekend), but the majority were part of teams of 6-8. So even the people who did have an idea didn’t all get to actually tackle that idea over the weekend – and there was certainly plenty of room for people who didn’t have an idea of their own but just wanted to help build somebody else’s. No, of course not! I think this is a common misconception of a hackathon weekend, that you’re expected to forego sleep for the entire weekend. Last year we did have maybe two people who pulled all-nighters (possibly even an all-weekender) but they were definitely the exception rather than the norm. Sheer enthusiasm and a desire to make progress possibly meant some people slept rather less than normal (we have a dark/quiet area set aside for sleeping bags etc) but most people know themselves well enough to recognise that they will do their best work if they’ve actually had some sleep. Well until midday on Thursday 19th October 2017 it’s still not too late to remedy this – in London at least! Get your ticket RIGHT NOW. I really loved my job at Hubbub.co.uk. It was a truly extraordinary place to work and one that I was really not wanting to leave in a hurry. It’s a privilege to get to enjoy going to work each day and knowing that you’re going to be working on something that makes a difference to people. Now I get to do that on PrayerMate instead! PrayerMate was a long way from being able to financially support me and my family (which as the father of three children is a serious consideration). It still is, really, but helped by a few generous donations and another windfall my wife and I decided we were ready to step out in faith and give it a shot, trusting that our big God is well able to provide for our needs. Right now that app is barely scratching the surface of fulfilling that vision, especially when you consider the number of people who try the app once and then quickly give up on it because they’re too confused or because the effort of getting started is just too great at the moment. Obviously (and wonderfully!) not everybody needs a prayer app – and for many people the app is not for them, and that’s fine. But I know for a fact that there are many people out there who struggle to pray and for whom PrayerMate would be a really valuable tool – and I want to help them discover that! Imagine what an awesome thing it would be if more of the global church was mobilised in praying regularly and boldly for the good news about Jesus to be spreading around the world and taking root in people’s hearts – and by God’s grace I now get to be part of that as my day job. What a privilege! If you want to make monthly payments to support me (in exchange for various levels of rewards) then you can find me on Patreon. But I need your help! Read the full message here for details of how you can help make this possible. How does our Christian faith relate to the technology we use and build? I did a seminar at Kingdom Code UK last week on the subject of “How does our Christian faith relate to the technology we use and build?“. 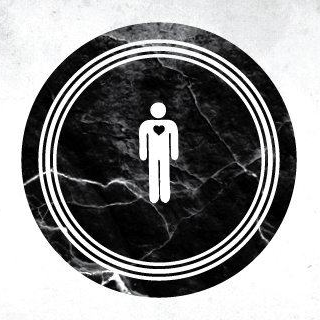 An audio recording is now available here. Jonathan Leeman recently published 18 Things to Pray for Your Church over at The Gospel Coalition, and he has kindly given permission for these prayers to be shared through the PrayerMate app. With the app installed, you can use the add page, switch to your “My church” list and then hit the “Download prayers” button. Alternatively you can use this magic URL to access the content directly. Pray for Seven is a fantastic initiative from the Diocese of London as part of their Capital Vision 2020: encouraging Christians to pray regularly for seven specific individuals for an opportunity to share your faith with them. This is something that the PrayerMate app is perfectly suited to assist in – if you make yourself a “Pray for Seven” list in the app, then every time you use the app you can get it to give you a different one of your seven to pray for. If it helps you to focus, you can even attach a little photo to each one. 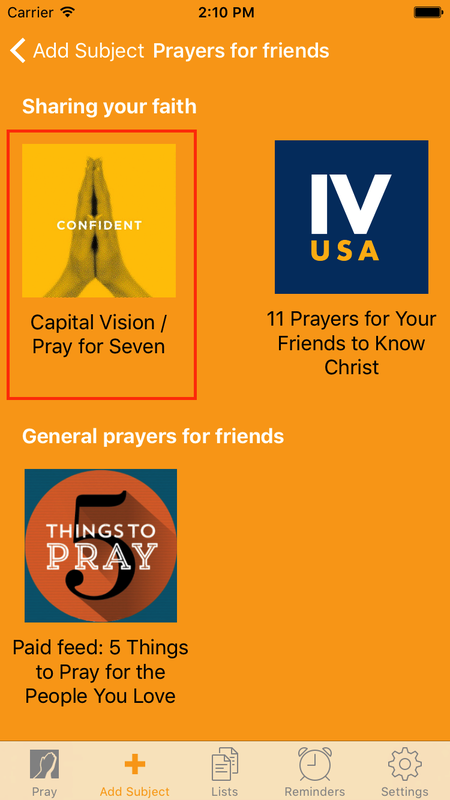 To get started, open the app and go to the “Add” page (the + button can be found at the top on Android and as a tab at the bottom on iOS) and choose the “Prayers for friends” option, followed by “Capital Vision / Pray for Seven“. You’ll then want to add your seven names. Type each name on a separate line, using the enter key after each one. Then you can press the “Done” button in the top right once you’ve entered all seven. On the “lists” page you should then be able to see the names you’ve just added, and you can tap any one of them to view. Each one will have a pencil icon to edit it, where you can add a photo to enter some notes. Step 4: Pray for Seven! I’ve often read that and thought “well if the need is so great, perhaps I ought to ‘go’ myself” – it’s one of the things that has kept me considering full-time gospel ministry for more than a decade. But then last week, something interesting happened. Along with five others, I was “comissioned” by the Bishop of Edmonton for “leading public worship, preaching & administering Holy Communion” at Euston Church. John Valentine was preaching at the service, and his text was Matthew 9:38. He pointed out the surprise of this passage: when Jesus sees the need in v36 (“the crowds”) you might expect him to say “therefore ‘go'”; but the surprise is that he doesn’t, he instead says “therefore ‘pray‘”. No doubt some will discover that they themselves are to be the answer to their prayer, and seeing the vast need surely should make us consider our own calling if we remotely share in Jesus’ compassion. But the point remains: first and foremost, to Jesus, the logical implication of the need is to pray. There are some things that make me nervous about this quote (the over-emphasis on “the” man, for example) but yet there is something profoundly exciting about it as I consider PrayerMate. Last month, 25,000 people used the app to help them pray. 5,500 people have used the Operation World feed over the past year. The Open Doors USA feed was viewed over 100,000 times, helping people pray for the plight of the persecuted church. I quote these figures not because there’s anything impressive to God about large numbers, but rather because I think sometimes I am prone to underestimate the value of what I do with PrayerMate – after all, it’s still “just” something I do in my spare time! But, under God, what a contribution to world evangelisation all those prayers must have been! As you read that, it may be obvious that many of these are still very much aspirational, and that the app is only just beginning to scratch the surface of what it could become. I still have so many ideas for ways that PrayerMate could more effectively achieve these aims, ways that it could be made easier-to-use to reduce friction, ways that it could be made easier for organisations, missionaries & churches to get prayer information to their prayer supporters. My main bottleneck in all of this is time – time to turn these ideas into reality. I’ve been praying a lot about what the future might hold for PrayerMate, and how to better realise the vision set out above. At the end of the day, time often really is money, in the sense that whatever the way ahead might be, it needs to include putting food on my family’s table. Outsourcing development work costs me at least £200 per day (and often requires plenty of my own time to manage, test and deploy projects) not to mention server hosting costs, marketing costs, and so on. Perhaps not unsurprisingly, it’s hard to make money from a prayer app! There’s a number of different definitions of “self-sustaining” here – a part time developer, a full time developer, even a whole team (with dedicated iOS and Android developers, charity liaison/support people, etc) depending upon how much comes in. But what’s clear to me is that the sky is the limit – until Jesus comes back the need is vast, and though a little app like PrayerMate is far from being the complete answer to the problem of world evangelisation, I believe it can make a really meaningful contribution. If you feel inspired to be a part of this, then I would love to hear from you! You can use the “Send feedback” button inside the app or get in touch via Twitter. A critical bug fixed – unfortunately a particularly thorny and hard-to-detect bug slipped through the net in the initial release of PrayerMate 5 that meant all “never-prayed-before” subjects were fixed at a relatively low priority (equivalent to something you prayed for 12 hours ago). The result of this was that if you came back to the app after 24 hours had passed, you’d only ever see things that you had prayed for yesterday – which needless to say was not what you wanted. I take issues like this extremely seriously, since it damages the relationship of trust that you have with the app, and I am very thankful for those of you who brought this to my attention. Explicit priorities on each subject – something that I have been wanting to add for an extremely long time is the ability to set a “priority” level on specific subjects. 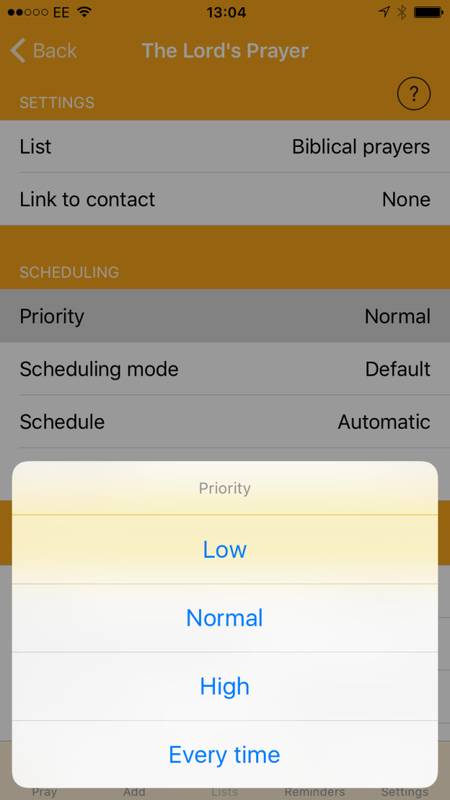 Now through a subject’s “settings” page you can set the priority level: normal (the default), low (this subject is five times less likely to show up), high (this subject is five times more likely to show up), and importantly, every time. The “every time” setting means that this subject will always appear in your prayer session – although for those of you who use PrayerMate more than once per day it can also be combined with the existing “scheduling mode” setting e.g. to make it appear every time on Mondays only. 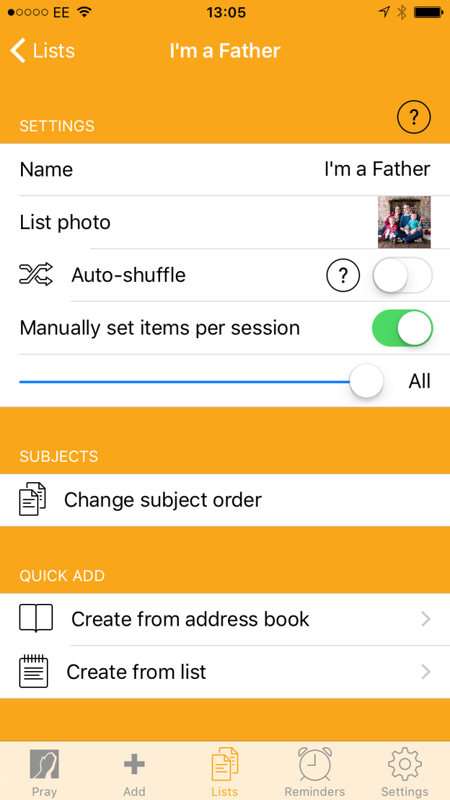 Request “all” subjects from certain lists – with PrayerMate v5 came the option to manually request a specific number of subjects from each of your lists, but sometimes you don’t know in advance how many subjects you want. In this new update, you can go one step further and request “All” subjects from a given list every time. 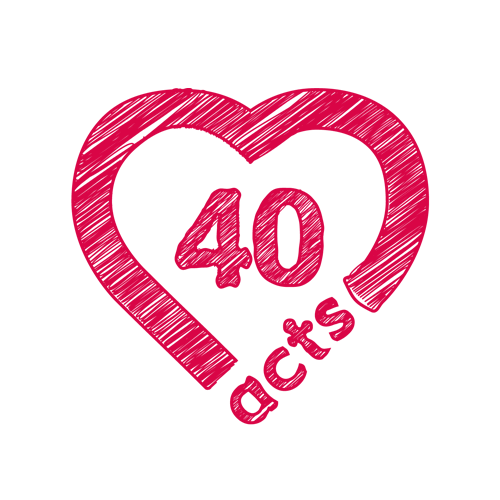 This Lent why not get the 40acts feed – 40 days, 40 meditations. You can use the new “Every time” priority setting to get it each day. In case you missed the news yesterday, there is now an all-new version of PrayerMate. Judging by the emails in my inbox, this update has caused a great deal of confusion and anxiety amongst many of you, and I hope that this post will help clear some of that up. I would also like to apologise if the changes have come as something of a surprise, and for not communicating better how to deal with the changes in advance. 1. Firstly, the new scheduler centres around a single total number of items that you wish to pray for, and then selects cards roughly in order of priority until it meets that quota. This is what the new +/- buttons on the first “Coming up” slide are about – it defaults to five but for many of you you will be used to seeing more, and should just press the + button until you are back to a number that suits you. 2. The caveat to point 1 is that it does also try to balance things between your various lists (formerly known as categories), so by default it should only ever pick one card from each list until it has run out of lists, at which point it will circle round once again. 3. For those who want more control, you can explicitly tell PrayerMate how many items you want from any given list, and it will then prioritise those lists before filling up the rest of its quota from elsewhere. Tap on to the new “Lists” page using the button (at the top on iOS and at the bottom on Android) go to the list you want to manage (either by selecting from the “List index” or by swiping sideways) and then press the “cog”/ settings button on that list and choose “List settings”. There you can tick “Manually set items per session” and drag the slider. For example, I have this set to “1” on my “Biblical prayers” list to make sure that I always start my prayer session by focussing on God, and I have one item from lists for my wife and for my children, but then I leave PrayerMate to decide how to fill up the rest of my daily quota from all of my remaining lists (of which I have many). 4. I’m hoping to add an explicit “pray for this every time” setting very soon (a somewhat obvious feature that PrayerMate has never had, because before this update it was too hard to figure out all the complicated interactions with per-category limits / the global limit / etc). In the mean time, as demonstrated in point 3, I suggest moving that subject to a list all by itself and manually setting the items per session on that list to “1”. 5. It should still be respecting any “day of the week” or other advanced scheduling that you have set up previously. You can access these by pressing the “cog”/settings button on any of your subjects. If things are appearing on days that you do not expect then that sounds like a bug and you should hit “Send feedback” inside the app. If things are *not* appearing on days when you *do* expect them to then try pressing the “+” button to ask for more subjects in your session – and if that doesn’t fix it then it also sounds like a bug and you should hit “Send feedback”. 6. Finally, can I share an email that really encouraged me, that gives you a feel for the motivations behind these changes? This lady said “I did not use the app before because it was so hard to use, but since this update it is much better!” I cannot deny that this recent update requires something of a transition, and *especially* from users who have invested time to setting it all up and who have discovered some of these “power-user” settings such as the per-category item limits. Sadly, for every one of them, there are probably dozens more who never even discovered that those settings existed, but the mere fact that they *did* exist created complexity and confusion for them. I definitely accept that I could and should have communicated better in advance about these changes, but I want you to know that the time and energy you are having to invest to adapt to these changes is an act of service to the wider body of believers. If you’re not already signed up to the PrayerMate newsletter, do hit the button inside the app to do so. That’s the best way to be kept abreast of any important changes or PrayerMate news. Many thanks for your support and for all of you who have been passionate enough to email me! The first version of the PrayerMate app was built almost five years ago, when I set out to create something to help people pray more faithfully. Since the Code for the Kingdom Hackathon weekend back at the start of October, I’ve been working on totally overhauling it to try to make it easier to understand and use. It’s been a long journey, but I’m delighted to announce that it is finally ready! The app has a new layout, with each of the main functions occupying its own tab. 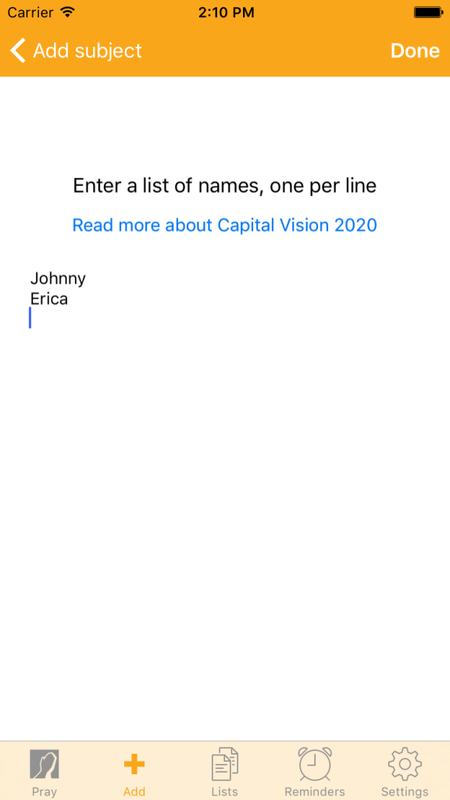 I’ve also changed how you edit cards, to make the process much more visual: now you can press the edit button on any card to change the name or description, add a photo or PDF attachment, or move it to a different list. Many thanks to Nick Muncey for his fantastic new design. Categories have now been renamed to lists. The new lists page lets you see all of your subjects on one page (on a tablet this is even more useful). You can create new lists, or add subjects to your existing lists. 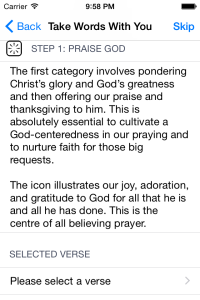 The way that PrayerMate decides what you should pray for each time has been completely rewritten. Instead of having lots of per-category settings, there is now just one global setting for how many items you want to pray for in total – press “+” to ask for more, or “-” to ask for fewer. For those of you who want a bit more control, you can still go in to the settings for a particular list and manually set the number of subjects you want to see from that list each time. Some of you may have previously tried the TWWY prayer builder with mixed results. This has been simplified, to focus on just the two core steps: praying scripture promises, and praying scripture prayers. Once you have chosen a Bible verse from each section, PrayerMate will then add the results to your existing card, rather than replacing (as it used to). Please note that sadly there is a little bug in the iOS version, and no “Select” button appears after you first tap into a Bible verse. Swipe right then left again to make it appear. Lots of people have expressed an interest in a “dark mode” for when praying at night, and I’m pleased to say that this is now available under the “Settings” page (along with a few other colour themes). Finally, let me mention one last new feature: the option to become a PrayerMate Patron (iOS and Google Play only). PrayerMate has always developed more slowly than I would have liked, and this is mostly because it’s just me working on PrayerMate in my spare time, with a bit of help from some outsourcers. I’d love for a developer to be able to work on the app full time, and by becoming a Patron, you can help make this happen. Anyway, I hope you enjoy the changes, and please feel free to hit the “Send feedback” button inside the app at any time. There’s bound to be a few bugs and teething trouble (big shout out to all my amazing beta testers for their help finding plenty so far!) so do let me know if you find any. 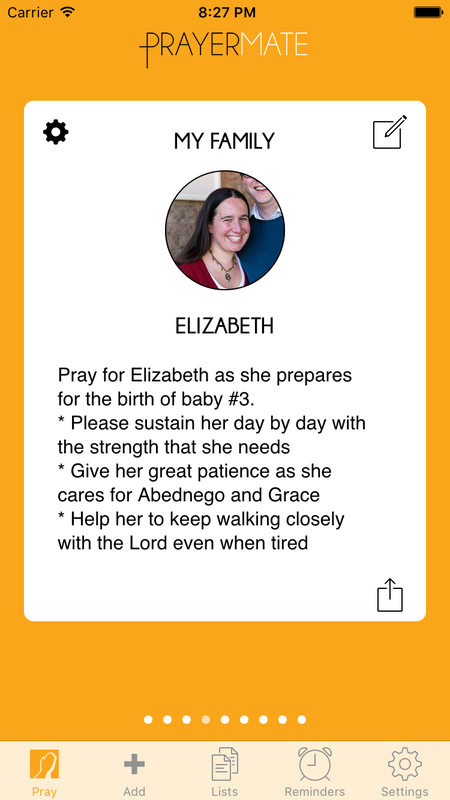 You can download the PrayerMate app for free on iOS, Android and Amazon Kindle Fire. What better reminder to have sitting on your desk at work that a PrayerMate “Time to pray?” mug. Or what could be a better way to focus your morning than having Philippians 4:6 ringing in your mind over breakfast? Get your PrayerMate mug now and a small percentage of each sale will go towards helping fund future development of the app too! The Gospel Coalition Australia has very kindly given permission for some daily prayers by Peter Adam (recently published on their blog) to be made available through the PrayerMate app. You may not need to pray these particular prayers, but these prayers may encourage you to write the prayers you need to pray, if you find this practice helpful. You can find them under the “Personal Godliness” prayer gallery, or you can try using this direct link if you have the app installed. I’ve been having an extremely frustrating experience developing PrayerMate within XCode 7 recently, where the whole editor would just freeze for 30 seconds at a time. It seemed to work fine as long as I stayed within one file, but as soon as I needed to switch to another file, I’d have to wait again. Sometimes I’d see tooltips flash up over various filenames in my project navigator, ones that perhaps the mouse had glanced over half a minute earlier. Clearly this is a bug in XCode (and an infuriating one at that!) but the workaround was remarkably simple and fixed the problem completely: make the project navigator pane ever so slightly wider, until none of your longer filenames get truncated with “…”. 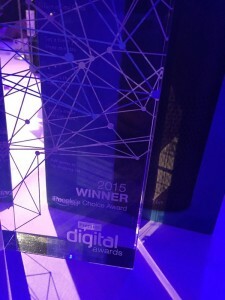 PrayerMate is the People’s Choice! 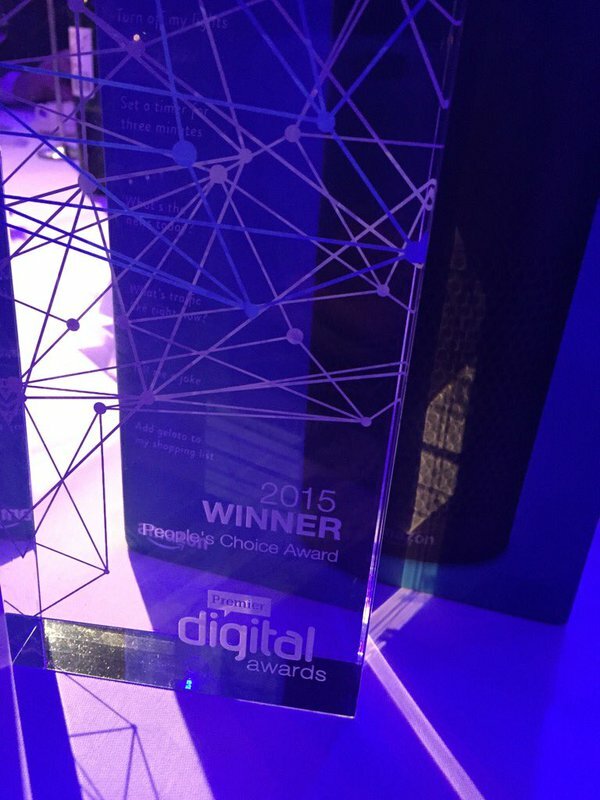 I’m absolutely thrilled that last night PrayerMate won the Premier Digital “People’s Choice” Award. 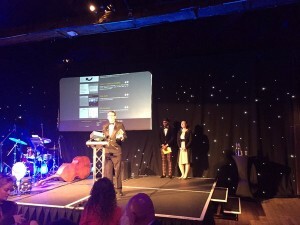 Of all the categories it could have been shortlisted for and ultimately went on to win, I think the People’s Choice couldn’t have been more fitting, since at the end of the day it’s PrayerMate’s wonderful community of users who, under God, are really the cause of its success – and of course who I make the app for! Thank you all so much for your support (and your votes!) and keep those feature requests and bug reports and general feedback coming! It’s been a big year for PrayerMate, passing the 100,000 download mark, raising over £9,000 through a crowdfunding campaign, beginning the process of being translated into other languages, and now winning this award, but at its heart it remains a little app to help you pray, and my prayer is that this award simply means that it can reach, and thus help, a wider audience. This past weekend, 800 or so Christian developers, designers, entrepreneurs and technology fans gathered in 13 separate cities around the world for the Code for the Kingdom global hackathon. 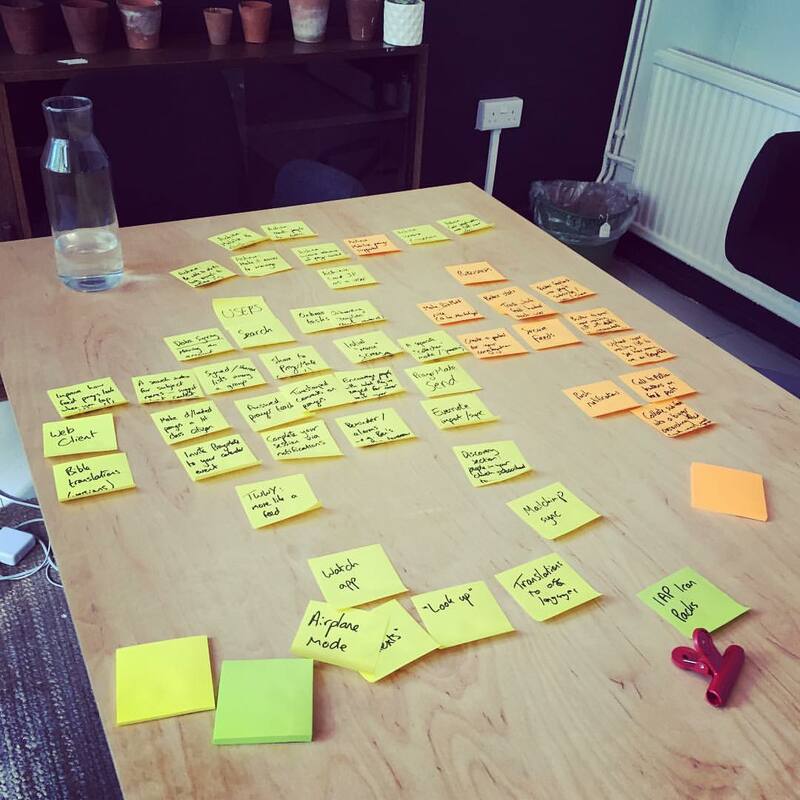 Let’s pray for… – a prototype for a fantastic social prayer app, that I really hope comes to life soon! It was a brilliantly encouraging weekend, so fantastic to see people collaborating together to build genuinely useful things. The food was great, the fellowship was great, the projects were great. Bring on Code for the Kingdom 2016! Have you ever had that thing where you’re taking tea and coffee orders after a Bible study, and before you know it you’re running out of fingers trying to keep tabs of decaf coffee and peppermint tea and normal coffee and water and… well, it’s hard work, isn’t it? I’d like to commend you a beautifully simple little iOS app that’s available for free on iPhone: Countin’. 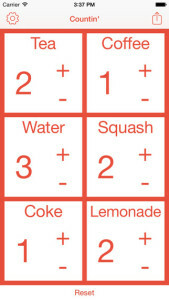 It gives you a grid of customisable counters that simply count up or down as you tap them. Simple! When I was working on my Bible-teaching computer game, this was the verse I used to put at the top of all of my source code files. Obviously I’m playing a bit fast and loose with the translation, but I think the intent is valid. All of us as Christians have been entrusted with certain gifts that God calls us to use in his service. For some of us that’s making a really good cup of tea to encourage the congregation on a Sunday morning and to make fellowship possible. For others it’s the remarkable gift of administration – that incredible ability to make things happen, that sounds really boring on paper but which those of us who lack it are immensely thankful for. For yet others its a deep understanding of electrical hardware like amplifiers and microphones and the ability to make sure that the speaker is loud enough but that the band is not too loud. Whatever our gifts, God calls us to use them to the glory of Christ. And not just in church – we can serve God with those gifts by enthusiastically serving others in the workplace too, or in our communities. The important thing is that we use those gifts, with the glory of God in mind. For some gifts it’s easier than others to see how they can be used for explicitly Christian ends. Software development is one which sometimes seems harder. In our culture, software developers are like wizards. They have an incredible ability to make magic happen – to conjure up reality from mere ideas with the power of language. They have a “secret knowledge” beyond the understanding of outsiders that has a tendency to inspire awe. To a fault, many software developers know that they have the power to change the world – sometimes more so that is actually the case (sorry Facebook – you’re not going to bring about world peace, however many billion users you manage to sign up). But yet we often lack confidence that this is true when it comes to the growth of God’s kingdom and the spread of the gospel. For many many organisations, which includes Christian ones such as charities and church plants just as much as for dot com startups and internet delivery businesses, the single most limiting factor is the technology resource – having the right person or people in place to design and develop something that can make a spark of an idea into a living and breathing product (or even just to support admin staff struggling with a too-simplistic database). If only Christians with gifts as developers and designers appreciated how precious their gifts could be in God’s service, I think we’d see some pretty incredible things happen. Last autumn I had the privilege of meeting Gerald Hinson who gave up a successful job at Microsoft to follow God’s call and build David vs Goliath, an incredibly fun and engaging retelling of the classic Bible story for iOS and Android. I found his story really inspiring – he’d never done anything like it before, but he saw a need, saw how God had given him the talents and the connections and the passion to make it possible, and he made it happen, despite all the challenges and an awful lot of hard work along the way. From the 2nd-4th October this year, I’ll be participating in a “Christian hackathon” in London organised as part of a global Code for the Kingdom weekend. The big prayer is to get together a hundred or so developers, designers and tech entrepreneurs to dream big dreams, meet like-minded people and hopefully give birth to a diverse bunch of projects geared at meeting various needs of the church and the world for the glory of God. It’s a pretty big risk that the organising team and the sponsors are taking on – they’ve hired an incredible venue (the Impact Hub Westminster) and there’s no guarantees – but they trust in a big God and they know that he loves it when people desire to serve him with their gifts. So will you join us? And will you help spread the word and tell people and cajole people and pester people until they sign up? Early bird prices are only available for another few days until 31st August – but even then they’re not expensive for what you get. Your video must begin “PrayerMate helps me…” – though you can try to be as creative as you like with the rest! Please keep it family friendly! Submissions can be made however you like – upload it to YouTube and Tweet the link to @PrayerMateApp, email me a link to something in your Google Drive to info@prayermate.net, or any other means you can think of! Update: Here’s the finished product! Today I am pleased to announce the release of PrayerMate v4 for both iOS and Android, a substantial new update. Here’s an overview of the new features. This release is the culmination of almost two years of work implementing automatic syncing between devices via the Dropbox Datastore. If you have, for example, an Android phone and an iPad, you can now keep all of your PrayerMate up-to-date between the two. Even if you’ve only got the one device, you might find this a convenient way to keep your data automatically backed up in the cloud so that you can access it again should you lose or update your device. 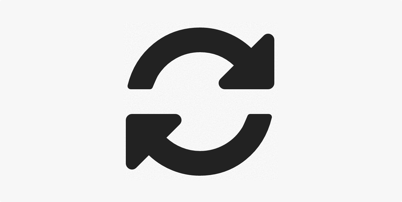 To enable syncing, tap the cog button in the app, go to the “Advanced settings” menu, and switch on the “Sync with Dropbox” setting. You’ll be given the choice of “merging devices” or “wiping local data” – this lets you say whether you want to keep the data on your current device or not (sometimes when you sync two devices, you want to treat the other device as the “master” copy, and throw away the data on the current device – other times you want to combine the data that’s on both of them). The downloadable prayer gallery (accessible by pressing the cog button then “Download prayers”) has been upgraded so that when a choice of prayers is available you can now swipe left and right between the different options, before hitting the “Download” button in the top right. It makes it much easier to find and choose the prayers that suit you. The latest version of PrayerMate contains two exiting new features to help you pray scriptural prayers. 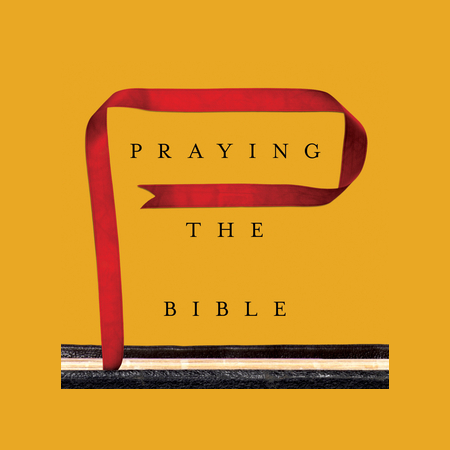 The first is two new feeds based on Don Whitney’s new book “Praying the Bible“, published by Crossway, both of which help you pray some of the Psalms each day. The first feed gives you five Psalms every day, so that over the course of a month you will have prayed through the entire Psalter. Recognising that this is probably a bit much for most people, there’s a reduced version of the feed that gives you just one Psalm each day, so that you will pray through them all every five months. The second extremely exciting new feature is the integration of the brand new 5th edition of Tim Kerr’s excellent manual for intercession, “Take Words With You“. Take Words With You is an amazing body of work, collecting together 2,500 Bible verses into categories, to help use them in prayer to God. The fifth edition contains a five step method to help use the scriptures in all of our prayers – and this forms the basis of a new “prayer builder” tool in PrayerMate. Now whenever you are editing a subject in the app, you can hit the “Take Words With You” button to help you decide how to pray. 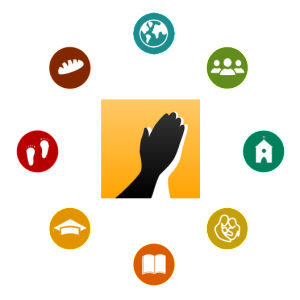 Select a verse for each of the five steps (confess sin, praise God, pray the promises, pray scripture prayers, pray faith affirmations) and PrayerMate will then combine the results together for you. About PrayerMate: PrayerMate is a free app on iOS and Android designed to help you pray more faithfully and more widely. More details can be found here. The Kingdom Code UK group that I’m associated with is organising a Christian Hackathon (possibly the UK’s first?) from 2nd-4th October. If you’re a Christian developer, designer or someone with a great idea for a Christian app, come along to collaborate and be inspired and see how we can use our gifts together for God’s glory. Fancy a year’s free bacon? Hubbub.co.uk is growing – and we’re on the look out for front-end and back-end developers. Not only is it a fantastic place to work doing great work, but we’re also offering a year’s worth of free bacon to anybody who we successfully hire – or who recommends somebody to us who we go on to hire. So even if you’re not a developer yourself, it’s worth thinking if you know anybody who is. All the details, including instructions on how to apply, can be found on our Developer website. Just before going on holiday a couple of weeks ago, I got a little email in my inbox that indicated my blog had been hacked (a “you just reset your password” warning). A quick look around the FTP server soon confirmed this. By God’s grace I spotted it almost immediately and was able to lock the intruder out and get things back to a vague semblance of normality. Today is the first day that I’ve got things to the point where I can actually post new blog posts. Maybe one day I’ll even get around to customising the theme from the default one (if you’ve been wondering why the appearance changed, this is why). Let this be a lesson to you: always keep your WordPress installation fully up-to-date. It may be a hassle (and these days it’s not even that much hassle!) but it’s a lot MORE hassle to have to reinstall from scratch. One of my favourite emails I have ever received about PrayerMate was from somebody who said “how have you managed to stop my PrayerMate data on my iPhone syncing with my iPad, and please can you turn this off so that they start syncing?” In the modern age it’s taken for granted that your data will sync via the cloud, but the truth is that for apps that aren’t web-based (where all your data is stored on a central server to start with), data syncing is one of the hardest features to implement – how I wish that it was as simple as “turning off” some extra code that I’d written to stop it happening! I’ve been slowly working on adding sync to the iOS version of PrayerMate for almost two years now. It’s the kind of work that is only really possible given a decent chunk of time – ideally an entire day or more – and given that I work on PrayerMate in my spare time alongside a full-time job to support my family, these are quite rare and hard to come by. Even when you do make some good progress, it’s often then a few weeks before any issues in your code get discovered, and then you have to wait for another whole-day unit of time before you can investigate and fix said issues. So perhaps you can begin to understand why progress has been so slow! Needless to say, this is a real blow. Not only does it affect the iOS and Android versions of PrayerMate, but it was also integral to the web-based desktop client that was about to go into private beta in the next few weeks. Dropbox will continue operating their Datastore service for another year until April 2016, so the current plan is that I will still go live as planned, but then work must quickly commence rewriting everything – either built on top of Dropbox’s standard file-based service, or using another option such as Google Drive, or something more in-house (my least favourite option). Whatever the decision, this is extremely demoralising since I was really hoping to be rid of this burden and move on to more interesting features – and instead I face the prospect of yet another year working on the same problem. Perhaps now would be a good time to consider making a donation to the PrayerMate coffers? I’d love to outsource the solution to this problem if I could.